They're short, ugly, and everyone picks on 'em, yet we have a strange fondness for our nubby little goblins. 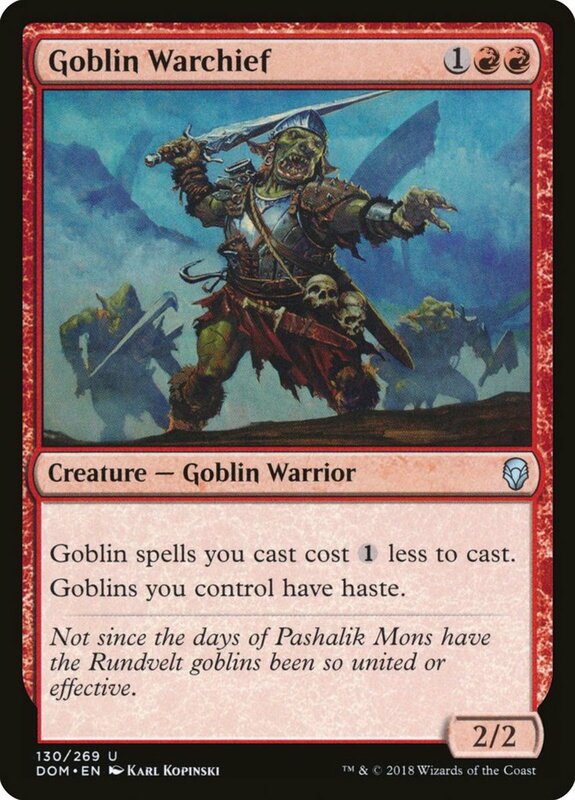 Typically belonging to the red faction, goblins are generally weak but inexpensive, helping form early-game combos. Despite their oafishness, goblins work surprisingly well together, with several abilities that gain strength depending on how many you control. Weak on their own, goblins form a strong group when bunched; which imps reign supreme? Blending the best of standard, commander, and other formats, here's a composite list of the ten strongest goblins in Magic: The Gathering! Warchief costs a fairly low three mana, but like many goblins, he's puny, bearing only a 2/2 power and toughness ratio. However, Warchief offers two great bonuses to his kin, reducing the mana costs of other goblins you cast by one and granting all your goblins (including himself) haste, letting them attack or tap the turn they hit the field. He's a puny 1/1, but Skirk only costs a single mana, making him a great early play. 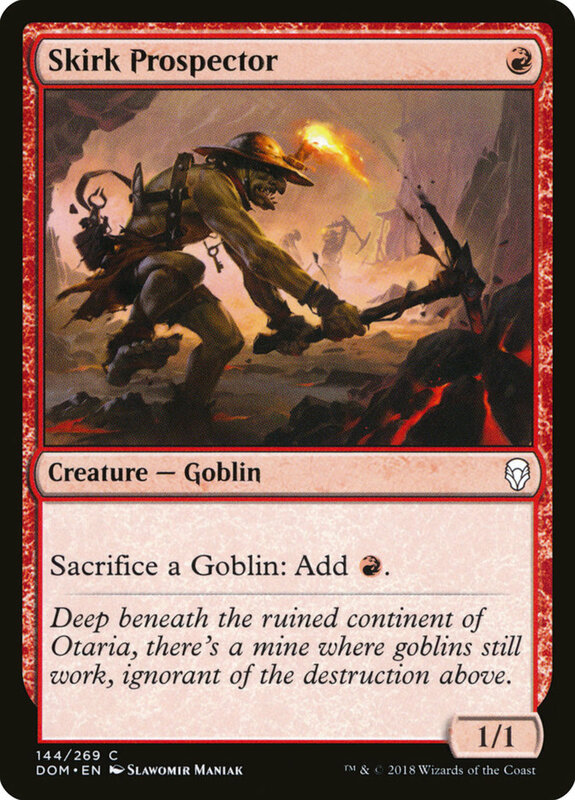 His ability lets you sacrifice any goblin you control (including himself) to add a red mana. Thus, you can either use Prospector as a one-off ramp tool, or as a way to fuel expensive spells with excess goblin tokens. 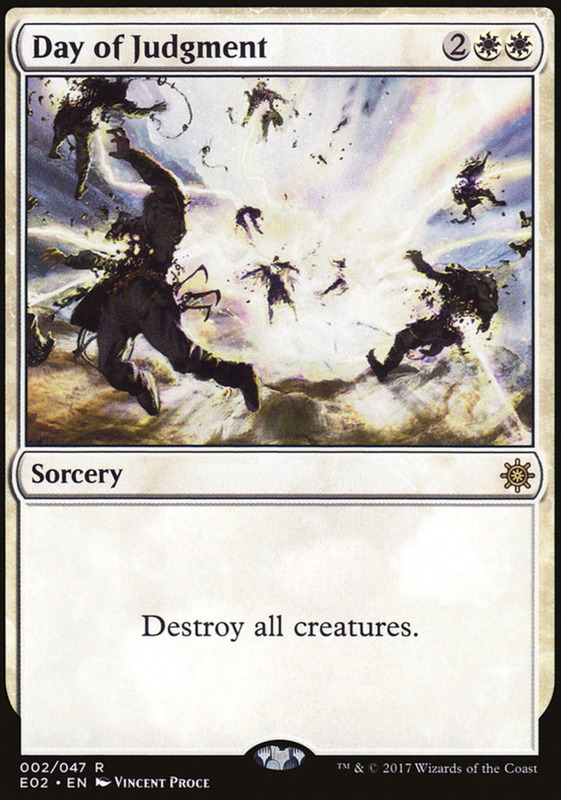 Remember, sacrifice abilities can be activated at any time, so you don't have to be on your turn or have haste to make use of the effect; if you know a removal's coming, you can kill Prospector to gain mana for a Lightning Bolt counterplay. Goblin Guide generally performs better in the shorter matches of standard than the extended bouts of EDH. 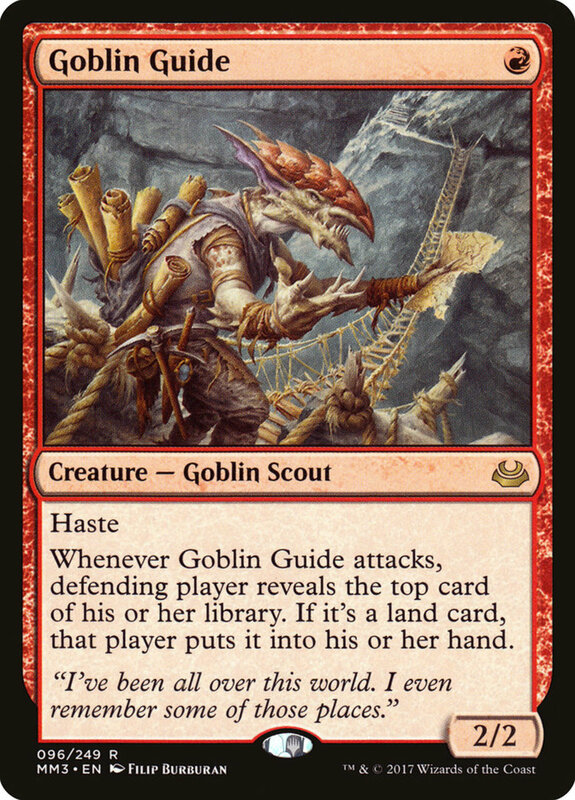 Brandishing both the goblin and scout subtypes, Guide enters as an impressive 2/2 for just a single mana! Not only that, he's also packing haste, letting him act immediately. 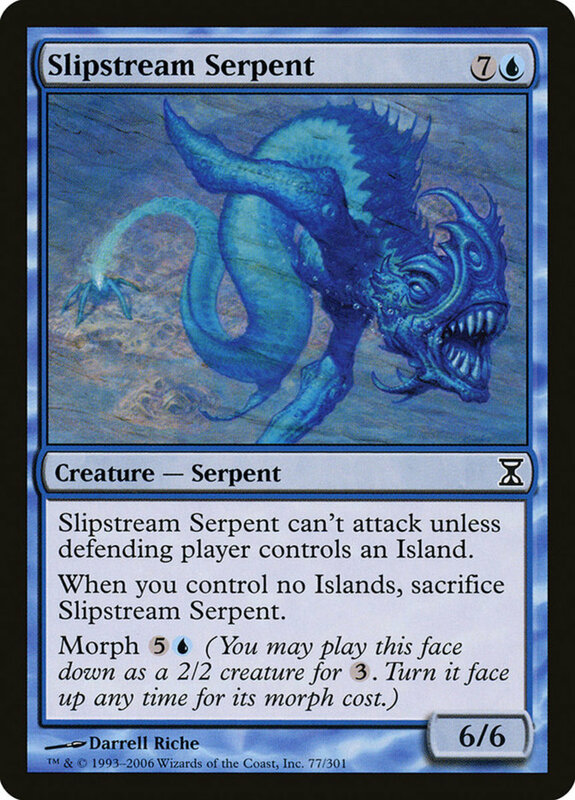 The catch is that whenever Guide swings, the defending player reveals the top card of their deck and gets to add it to their hand if it's a land. Sure, potentially granting card advantage to your adversary isn't optimal, but if it's not a land, you now know what they're about to draw, providing useful information to form your strategy. 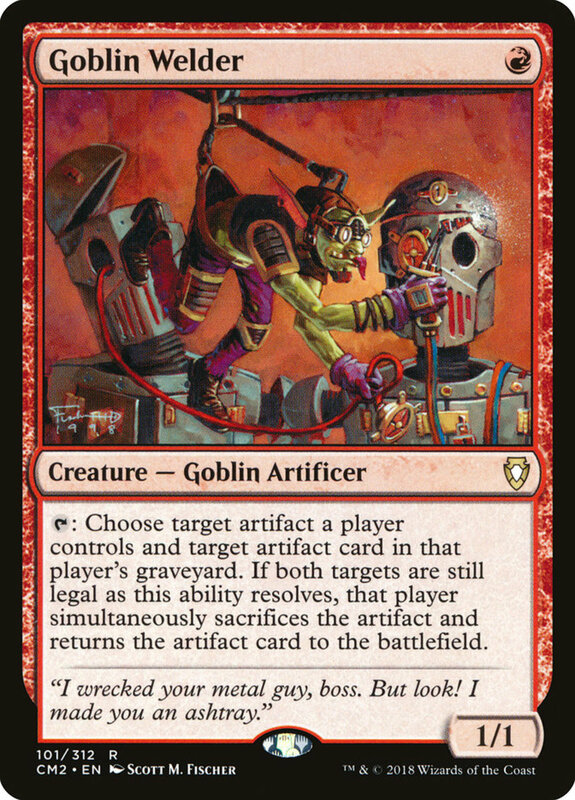 Yet another single-cost 1/1 pipsqueak, this goblin artificer provides excellent artifact cycling. By tapping, Welder lets you target an artifact a player controls as well as one in their graveyard, sacrificing the fielded relic while returning the buried one to the field. This lets you exchange inexpensive tools for big guns like "Akroma's Memorial" that you've milled into your graveyard, granting a sweet early lead. You can also target opposing cards, replacing threatening enemy supports with something more manageable. All for just one mana! Mixing the blue islands with red mountains yields this inexpensive solider. A 2/2 for two mana is a fair trade, and Electromancer bears two popular subtypes, goblin and wizard, strengthening several support effects. 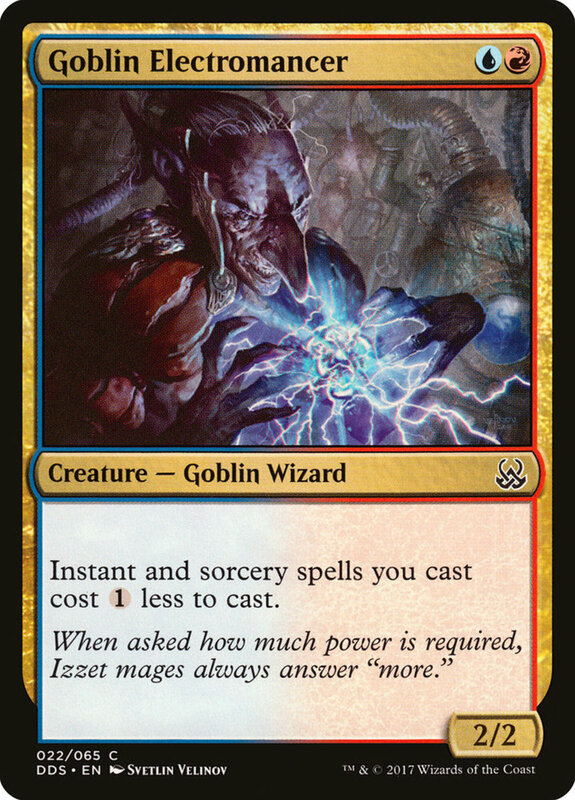 Even better, Electromancer reduces the cost of instants and sorceries you control by one colorless mana. With blue's prowess in counter spells and red's rampaging destruction, you have a vast repertoire of powerful hexes to play at reduced prices. Kiki, do you love me? Apparently, since you're so darn good. The Mirror Breaker is today's most expensive card, needing five mana, but we'll soon see methods to play goblins for free. Kiki is disappointingly weak at 2/2, but this goblin shaman enjoys haste, letting him use his awesome tap ability immediately. 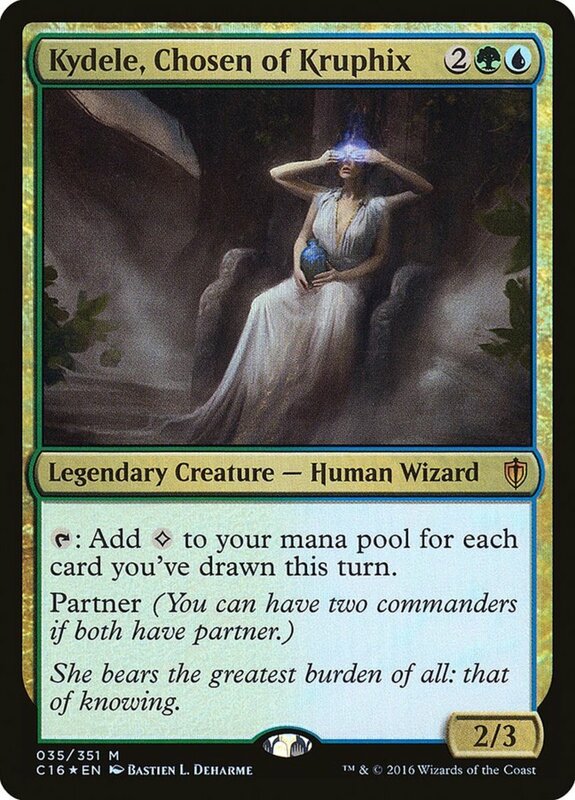 By exhausting, you create a token of a nonlegendary creature you control and grant that token haste. While he's cheap, Instigator demands both his mana be red, making him risky in multicolor decks and ineligible for Warchief's reduction. He's also just a 1/1—but Instigator enjoys the rare double strike trait, letting him essentially strike twice when he swings. Even better, whenever Instigator inflicts combat damage to an opponent, you can play a goblin from your hand for free. 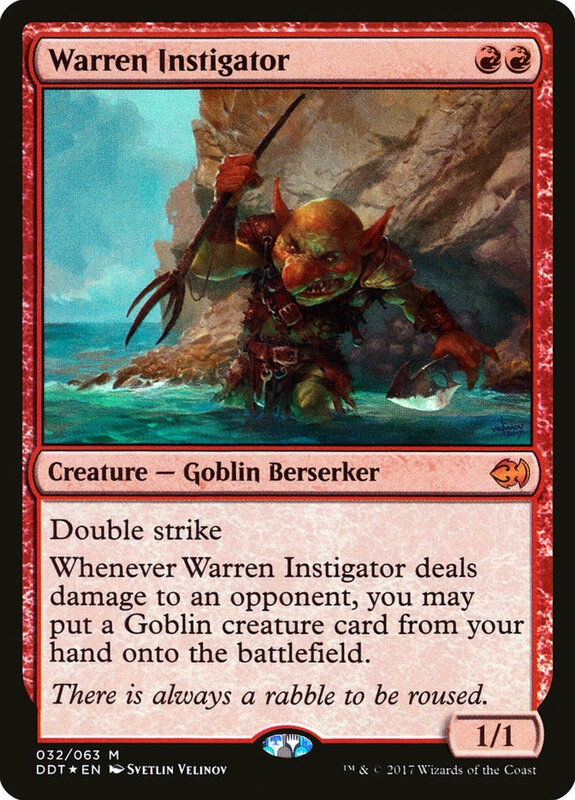 Plus, since double strike hits twice, an unblocked Instigator can actually field two goblins in a single turn! Use auras, artifact equipment, or other goblin boosts to buff Instigator's stats and let him swing twice for massive pain each turn. 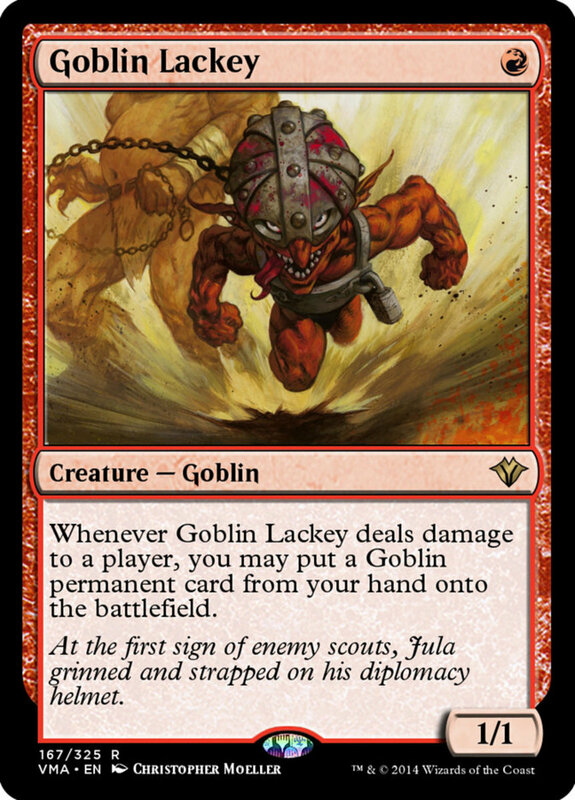 Goblin Lackey is a smaller Instigator. No double strike, but he costs one mana less, and just like his older brother, when Lackey lands combat damage on your opponent, you may field a goblin for free. Thus, a turn two or three Kiki becomes more than possible; several blue auras can help render your minion unblockable and reliably trigger his effect. 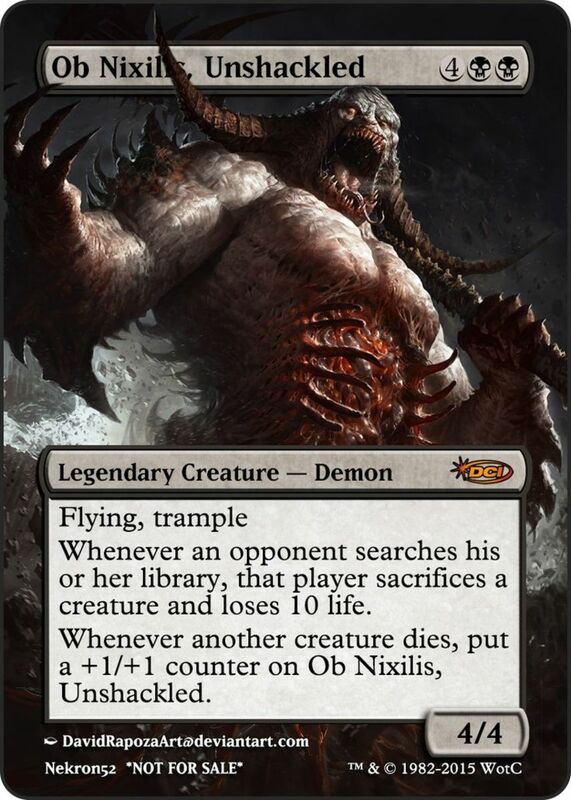 The EDH goblin king, legendary Krenko wields a decent 3/3 stats for his four cost, and he counts as both a goblin and a warrior. 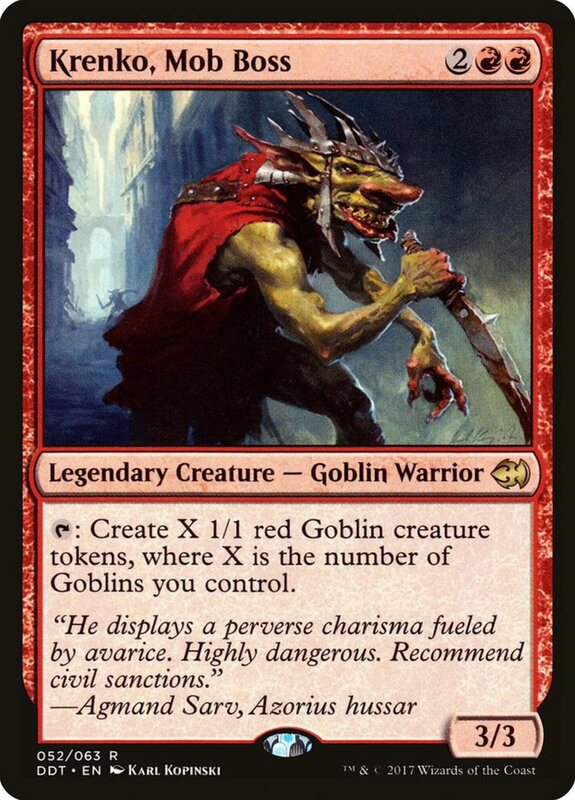 Still, his real treat lies in his tap ability, which constructs a number of 1/1 red goblin tokens equal to the number of goblins you control. Counting Krenko, this should be at least one, but can rapidly reach a dozen or more! 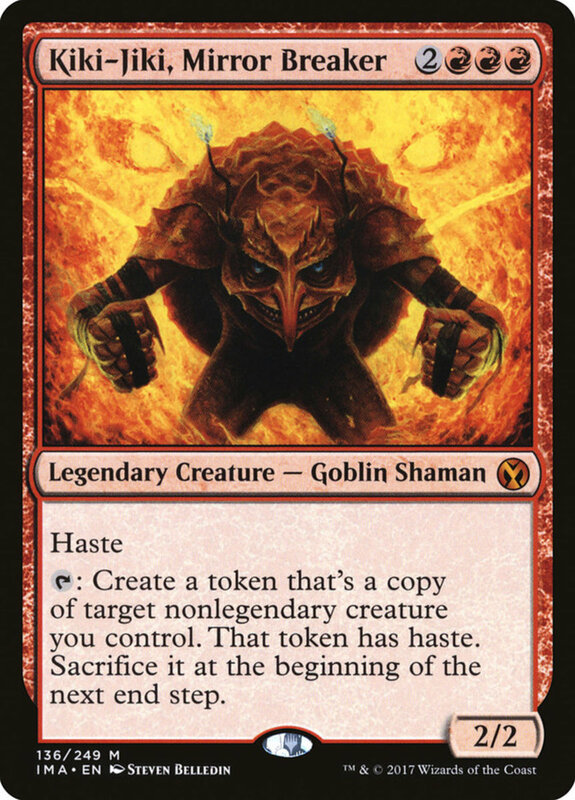 Remember, the tokens themselves count a goblins, making Krenko a self-stacking card who works well both on his own and in tangent with his clan. Use the tokens as blockers, for mana fodder with Skirk Prospector, or to activate the entrance effect damage of the deity "Purphoros, God of the Forge". Chainwhirler needs three specifically red mana, making him (her?) difficult to fit into mixed decks, but he bears a heap of great stats. 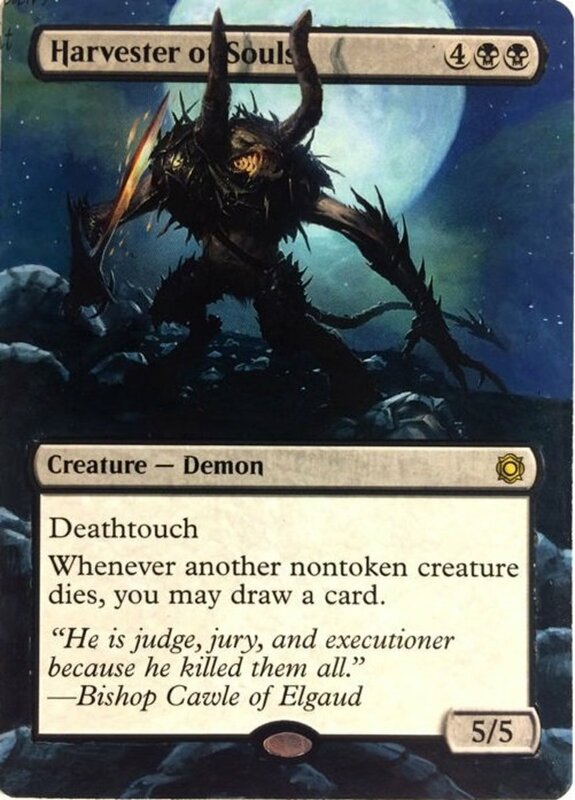 3/3 well adorns a three-cost creature, and Chainwhirler wields first strike, letting him deal battle damage first in combat (and often avoid a counterattack if he slays his opponent). 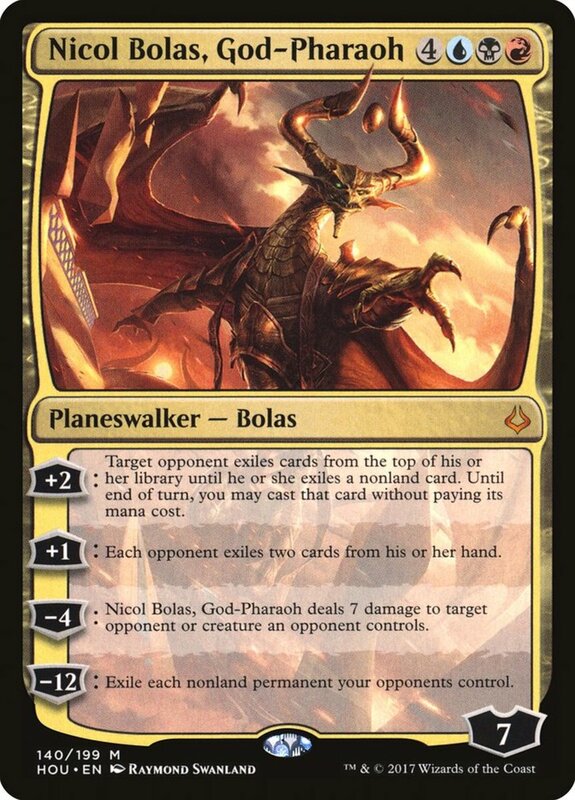 And is if that weren't enough, when Chainwhirler enters the field, you deal not just one damage to your opponent, but also each creature and planeswalker they control! 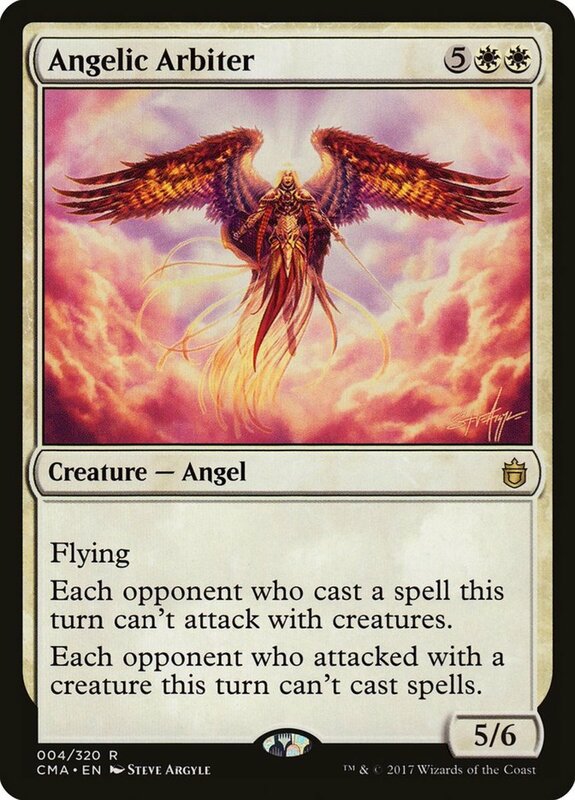 This helpfully eradicates green's elf tokens, kills units weakened in battle, singes planeswalkers, and scrapes your rival for good measure. And since Chainwhirler's not legendary, he makes an excellent target for Kiki's cloning (which will again activate his entrance burn). 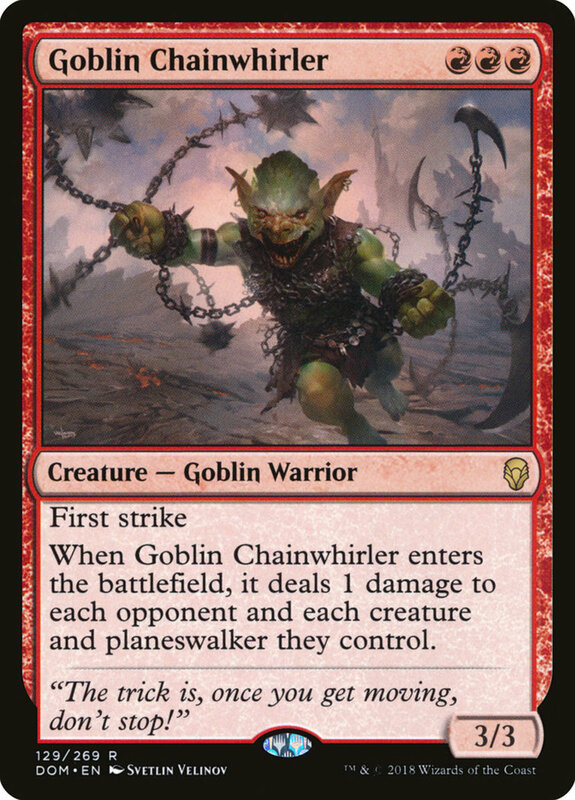 Chainwhirler's an impressive choice for not just goblin builds, but any red deck, and he's won me several victories by cleansing the field of enemies. Thankfully, you can obtain your own promo version for less than ten dollars! With so many impressive gremlins across the decades, picking just ten wasn't easy; be sure to examine other archetype staples, such as the burn damage from "Guttersnipe" and "Mogg Fanatic" or the often-banned tutor-draw combo of "Goblin Recruiter" and "Goblin Ringleader". Additionally, while not technically goblin cards themselves, sorceries like "Krenko's Command" place multiple goblin tokens, empowering Krenko's swarming and giving you throwaway blockers when needed. But for now, as we eagerly await Wizards of the Coast's next expansion of lovably brainless goblin miscreants, vote for your favorite card and I'll see you at our next MTG countdown!